CHART PLAYLIST. You can judge a book by its cover. But it turns out to be quite hard to distinguish if some of the hits we love (or hate) really are originals? 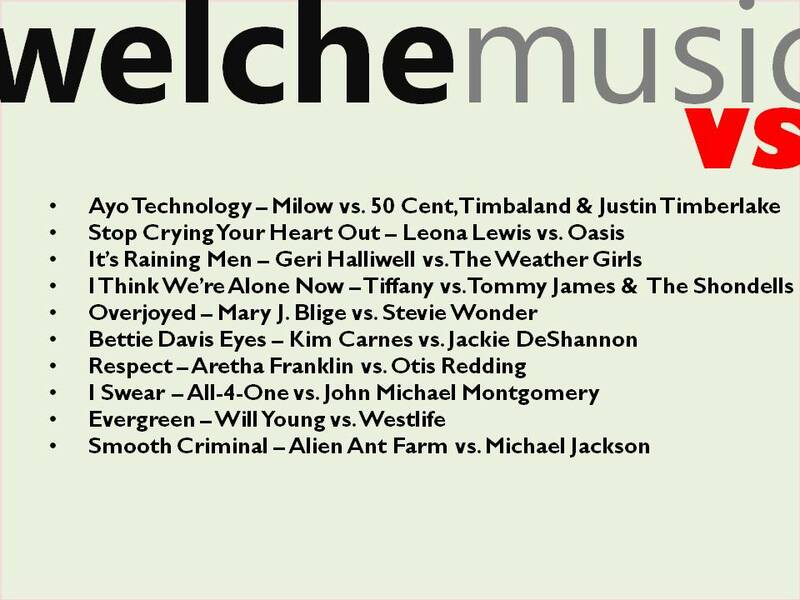 WelcheMusic compiled a set of tracks where we let the original go head-to-head with the cover version. Did you know that “Bette Davis Eyes” originally was a hit for Jackie DeShannon? Or that Tiffany’s “I Think We’re Alone Now” was a hit for Tommy James & The Shondells?